Description: This WebQuest presents information on the various types of network configurations Objectives: At the end of the lesson students will: -define the term 'network'. -describe the three type of network configurations. 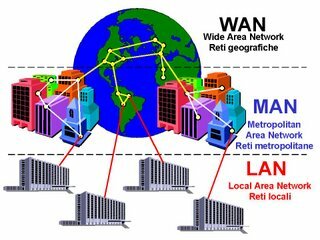 -state at least two characteristics of a "LAN", "WAN" and "MAN". -Explain how the Local Area Network is connected. -state at least two importance of why businesses configure networks within their organization.